Many chain eyeglass retailers offer on-the-spot eye exams and provide prescriptions for glasses, but are the services that these stores offer reputable and reliable? 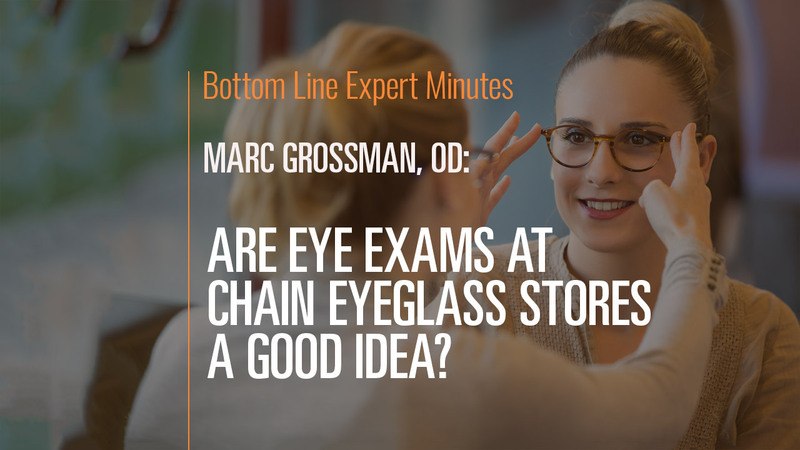 According to Marc Grossman, OD, LAc, holistic developmental/behavioral optometrist and licensed acupuncturist, it is possible to get a competent eye exam in such a store, but it also is possible that you won’t. Given the importance of an accurate eye exam and eyeglass prescription, don’t leave the quality of the eye doctor to chance. Dr. Grossman suggests that patients select doctors that they have researched in lieu of simply going for a walk-in checkup.